Knee supports and braces are used by people who have undergone a knee surgery, or those with minor injuries or pain on their knees. The supports and braces prevent more damage that can result in the course of movement. Knee supports differ depending on an injury sustained, support level, and focus muscle, a material used for designing, color, size and severity of the injury. A right knee brace should regulate the mobility of your knee in a way that supports recovery. Prophylactic braces are commonly used for people who experience knee stiffness or have sustained a sports injury. Most athletes who play contact sports are prone to injuries that require them to use prophylactic braces. A protective brace is used to prevent medial collateral ligament from further injury by supporting the posterior cruciate ligament and other muscles that are involved in knee movement. Besides prevention from further harm, athletes can also wear protective braces to minimize the risks of injury while playing. Functional braces are designed to support the knee after an injury or a knee surgery. Customized functional braces are designed to provide stipulated pressure on a muscle. The type of brace prescribed depends on the type of muscle affected. The braces are made of a rigid or stretching material that supports knee movement. In most cases, the braces are prescribed by a doctor or a physiotherapist. With the braces, one is still able to move the knee or even jump. Additionally, you can choose to stop using the brace after your knee has fully recovered. 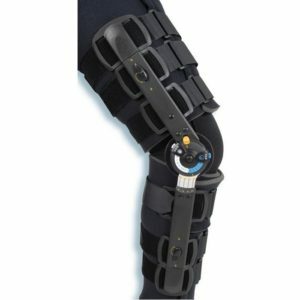 Unlike other types of knee braces that support free knee movement, the rehabilitative brace is designed to restrict knee movement after an injury or a knee operation. The brace will limit your knee to a particular position that will help in recovery while avoiding actions that can induce more damage. The braces are used for a maximum of two months after an injury. Rehabilitative braces can be used to substitute medical splints. They have become popular in knee-injury treatment because they can be removed easily during a medical examination. Furthermore, a custom fit rehabilitative brace can be designed to support minor movements that are medically important. Sometimes people may experience pain due to medical conditions like osteoarthritis. Such pain worsens during movement or when standing because of the pressure generated by the weight of the body. Unloaded braces are used to rid the knee of the pressure by transferring the weight to the thighs. These types of braces are all custom-designed so that each brace addresses a unique problem of each patient. 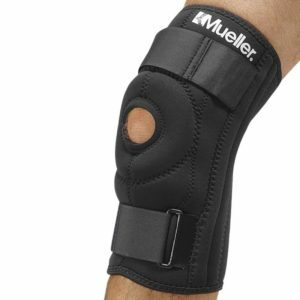 A knee sleeve is used by people involved in an activity that strains the knee muscles. 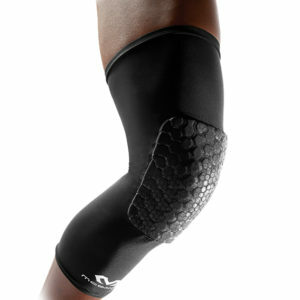 As a result, the knee sleeves help in reducing pain after the event. It is mostly used by people involved in sports like athletics and other strenuous exercises. Patella Stabilizers are designed to protect and hold the patella in place. They are ideal for people whose patella is dislocated. Depending on the use of a knee brace, different materials could be used to manufacture it. Some of the materials used in a brace are preferred because of their flexibility, ability to be easily modeled to a custom fit, and durability. Typical materials that are used to manufacture knee braces are elastic materials, foam, metal, plastic, and straps. When deciding to buy a knee support and brace, here are some factors that can guide you to acquire a suitable one. 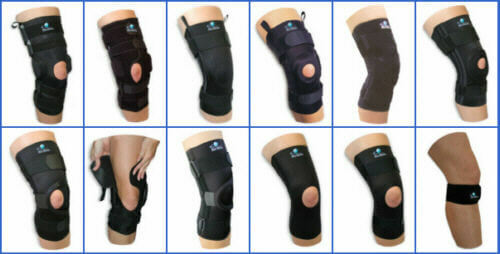 Knee braces are available in various sizes: One should find the correct size based on his or her knee circumference. Avoid tight knee sleeves since they can hamper blood circulations while sizes larger than your knee will not help you recover from the medical condition. Consider the prices: Sometimes, the prices of knee braces can differ depending on the manufacturer. When making a purchasing decision, it is recommended that you select one that suits your budget. Before purchasing a knee brace, you should consult a doctor or a physiotherapist to prescribe a brace that is suitable based on the type of ligaments injured and the type of sports activity you are involved in. Who Needs Knee Supports and Braces? 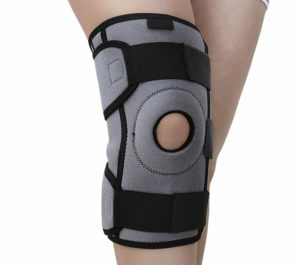 Typically, knee braces are used as a treatment option for people with knee pain, arthritis, and knee injuries. When a sportsperson is injured in action, the brace can be used to prevent more damage while the sportsman remains engaged in the sporting activity. Patients who are diagnosed with arthritis experience severe knee pain. The pain may prevent their mobility. With a knee support, patients can manage the pain. People who have undergone knee surgery can also use the supports to improve their recovery process.